I've officially started working on my costume for May the 4th! This year I'm finally going to do Mara Jade, the one I've been posting about wanting to do for the last 2 years. I don't have a lot done of it yet, but I have got one of the most important parts for it, the wig. Mara jade isn't complete without her red hair. Here's a picture of the wig. I opted to get one with bangs over a lace front because I didn't want to spend the time or the money on a lace front right now. 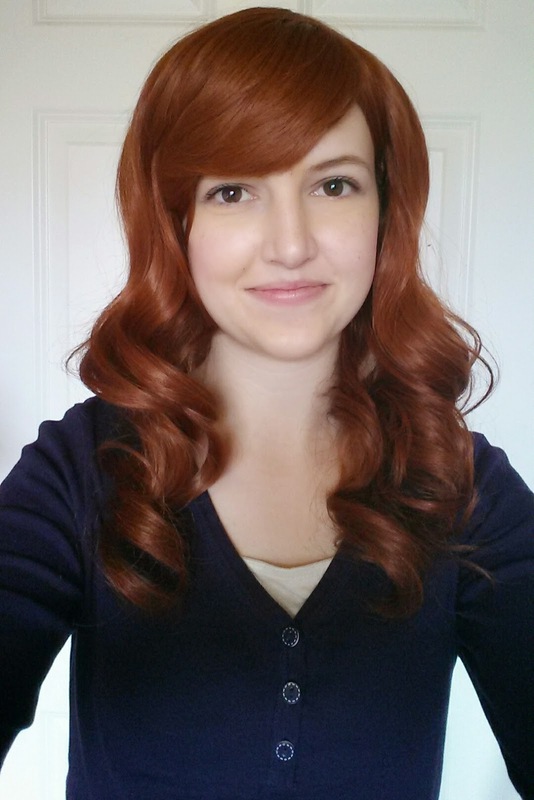 Eventually I would like to get another Matilda in in red for Mara, but for now I got this wig from Epic Cosplay. It's the Hestia in Copper Red. I want to get some better pictures soon, but that might not happen until I wear it with my Mara costume. The particular version of Mara that I'll be doing is from the Japanese cover from the Dark Nest Trilogy. I really like this version because it's simple and just seems more like Mara's style to me than the other versions. I started out planning on buying most of the clothing pieces with the exception of the vest, but after going shopping I realized I was doing to need pants that didn't have pockets on the back. After looking for a bit and not finding anything I decided that I'll make the pants too. I found a tutorial with a free pattern for just plain, skinny pants HERE. I still haven't decided what kind of material to make them out of, but I'm not going to go with leather. I hate the way leather pants look, they just look cheap and tacky. The belt and shoulder straps are going to be one of the toughest parts. Someone on the Rebel Legion forums made them with leather and polymer clay, so I'll probably end up doing something along the same lines. Also, I'm gonna try and make her lightsaber, which will be a challenge. And I probably won't get the DL-44 blaster before May, but it's definitely something I'll be getting eventually. So, we'll see how it goes. 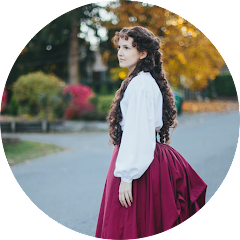 Right now I'm mostly focusing on my 1871 dress (which I just bought fabric for! YAY! ), and then I'll work on this one more. Also be sure to check out my wig review I did for this wig!